The original Brydge Keyboard for iPad was a nice product, but the company had grave customer service issues. Now, under new ownership, Brydge Global, the BrydgeAir continues its tradition of physical excellence with a model for the iPad Air and Air 2. iPad color matching and many small refinements have been added. 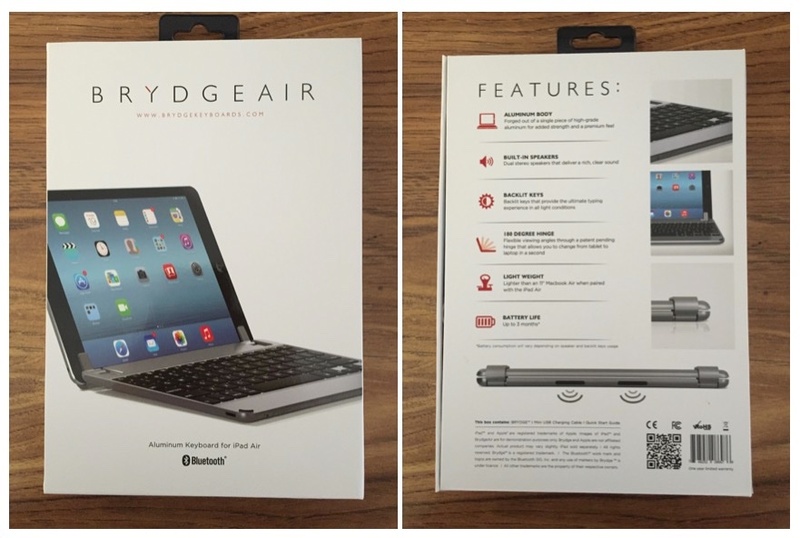 Simply put, the BrydgeAir Keyboard is a matching aluminum Bluetooth keyboard that mates with your iPad Air or Air 2 and closes up, clamshell fashion, similar to a MacBook. A rich selection of function keys assists with typical iPad operations. When closed up, the iPad is protected for travel. 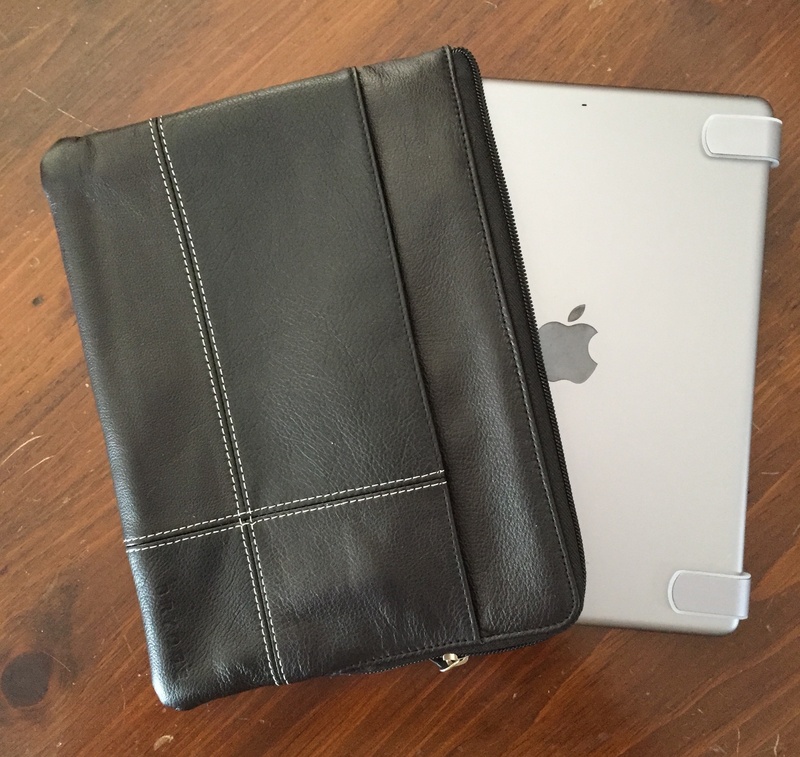 A nice leather, zippered case is included. 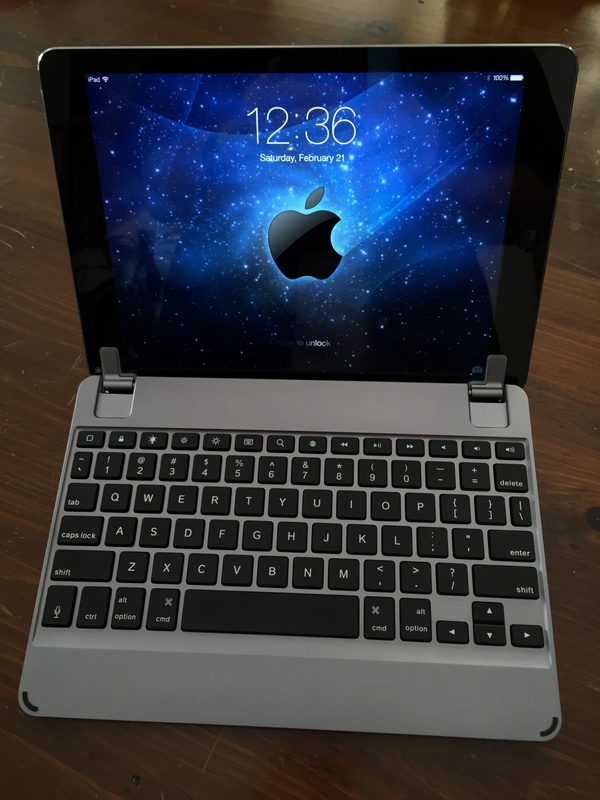 For those on the go who prefer an iPad, this keyboard, combined with a nice selection of available iOS text editor and word processing apps allows the user, writer or business person, to get a lot of work done, including extensive email, with a very comfortable MacBook-like keyboard. Before I continue, those who are new to this product should be aware that it has a bit of history. Here are two of my articles that will bring you up to date. The first is the original product review from late 2012, which was very favorable, but with a boatload of customer service issues contributed in the comments. The second is my interview with Nicholas Smith about the rebirth of Brydge under new ownership. There are several important things to know about a keyboard like this. 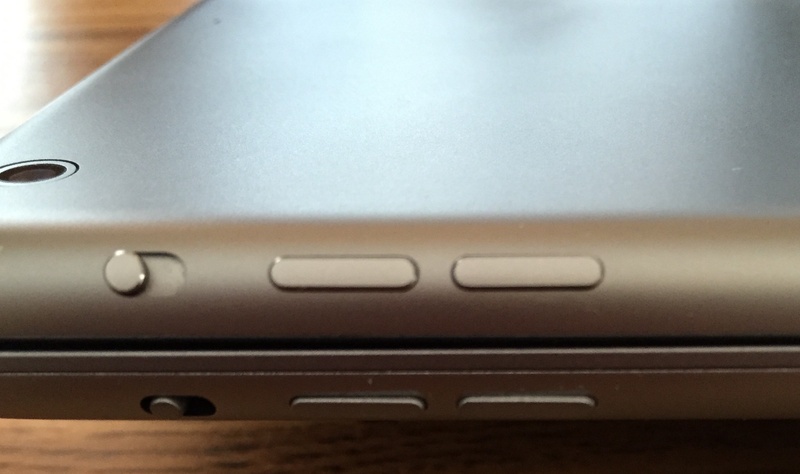 Will the iPad too easily separate or fall out of the hinge? How easy is it to type on the keyboard? Do the keys touch the display? How heavy is the keyboard? I'll cover all this below. It almost passes for a MacBook. Almost. The default configuration has white, silicone shims. 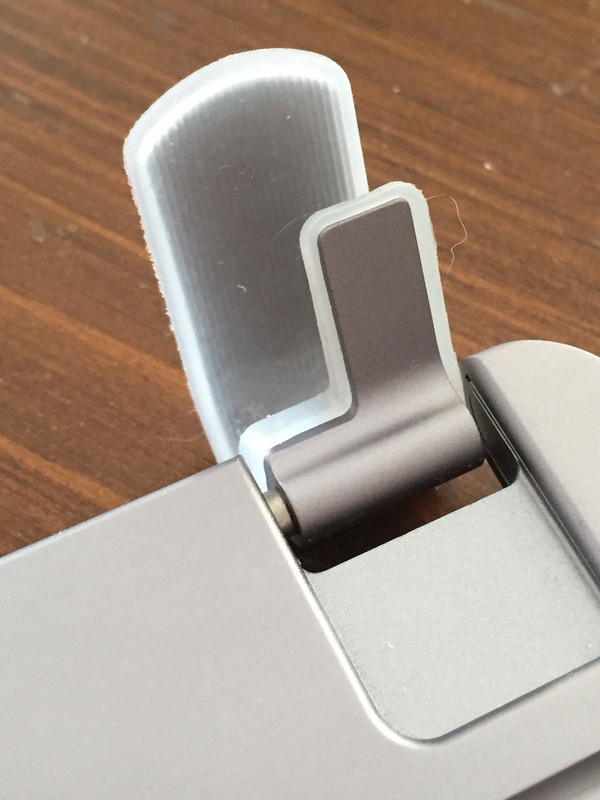 You slide the iPad into the two hinges with their shims. The shims are very grabby but not sticky. The iPad is in place fairly securely, and you can grab the keyboard and shake it fairly vigorously without concern. The iPad is going nowhere. The silicone shim is suitably grippy. This is particularly helpful when resting the assembly on your lap. Unlike some BT keyboards with a gutter, there's no concern about the iPad tipping overboard even when a slight capsize angle is introduced. This is not a problem and never has been with the Brydge keyboard thanks to good engineering. Inside the box where the microUSB cable is stored is another set of black shims for the iPad Air 2. There's a tutorial on how to swap out the shims. It's easy to do. My Apple aluminum keyboard has a key spacing, center to center, of 19 mm. This is pretty much standard. The Brydge key spacing is 17 mm which isn't bad at all. In the process of testing, I could sense that the keys were a little bit closer together, but it didn't bother me very much. Because of the way I type, with fingers hovering over the keyboard before striking, I didn't really have any problem. In terms of key throw and feel, the keys feel pretty much like my Apple aluminum keyboard. If there's a difference, it's too close for me to call. When one is typing on a portable keyboard, I think one subjectively expects that there's a slight trade of key size and speed against the convenience of size and portability. If the keys were to touch the display, one would see the telltale finger oil marks on the iPad display. I didn't see that because the keys are slightly recessed into the case. Little things like that count. This new version comes in matching colors to the iPad Air series: space gray, silver and gold. The color, edge curvature/beveling and size precisely match the iPad Air. There's no slot along the edge to pry the two apart, but I found that it's not really necessary. Fingernails will do nicely. The 1,000 mAh battery is rated for three months use at a time. A microUSB cable for charging is included. When connected, a red LED under the shift key lights up, but it would be nice if it changed color when fully charged. On the front edge of the Brydge is a set of matching buttons. Corresponding to the iPad's orientation lock and volume buttons are the Brydge on/off slider and the keyboard and audio BT pairing buttons respectively. This symmetry is very pleasing. Plus, on the underside of the keyboard are corresponding icons in case you forget which button is which. Included are the obligatory magnets for automatic sleep/wake when closing up. Brydge buttons (bottom) match iPad Air exactly for beautiful symmetry. There's a function key to turn on keyboard backlighting, and there are three levels of brightness. MacBook owners are fussy about having backlit keyboards, and this is a most welcome feature. 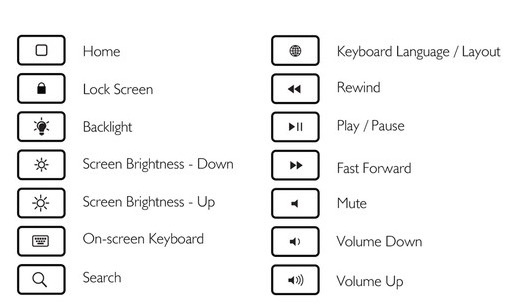 The rest of the function keys are described in the online documentation as follows. Regarding the indicator lights, initially it was a feature/ function/value equation. Given the time we had in R&D it was decided the solution we went with was the best option considering these factors. They are two elements that we’re looking to enhance come the next revision. A naked iPad Air weighs just over a pound (469 grams) and the iPad Air 2 weighs 437 grams (WiFi). The Brydge keyboard weighs in at 520 grams, so the total weight is just about doubled. Because the iPad Air is already so light, I didn't feel that the combination was objectionable. After all, some elaborate folio cases weigh about about a pound (454 grams). There are four generous rubber feet on the bottom of the keyboard, 15 mm in diameter. Because the iPad Air must fit into the shims, it isn't really practical to have a thin polycarbonate shell case to protect the back of the iPad. To offset that issue when traveling, the BrydgeAir Keyboard comes with a handsome, real leather zippered case. An outer pouch contains pockets for business/credit cards. This is a beautiful, supple material that will protect the back of the iPad when traveling, and its inclusion most welcome. Included zippered case is handsome, impressive leather. 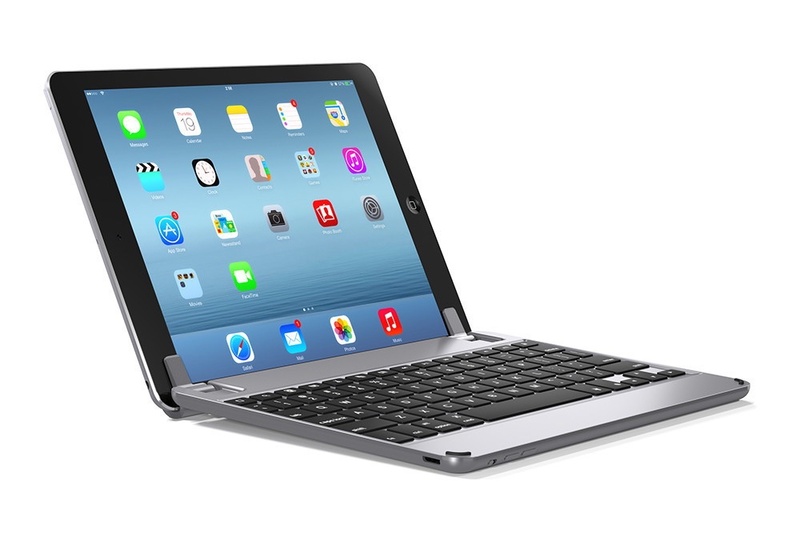 You can pair the keyboard to the iPad with ease. No code is necessary. A separate button allows you to optionally pair the audio to the Brydge's speakers—located on the back. I briefly tested those speakers, and they're weak to adequate. I think the iPad's own speakers are still better. The white, stiff cardboard box is sturdy and well conceived. On the back is a list of features. A small slip of paper tells you everything you need to know about operation and pairing. There really isn't much more to say. The instructions are duplicated online. The warranty is 12 months from the date of purchase. As mentioned in the article I linked to at the top, Brydge Global has gone to some trouble to create a satisfactory order fulfillment and customer relationship management system. 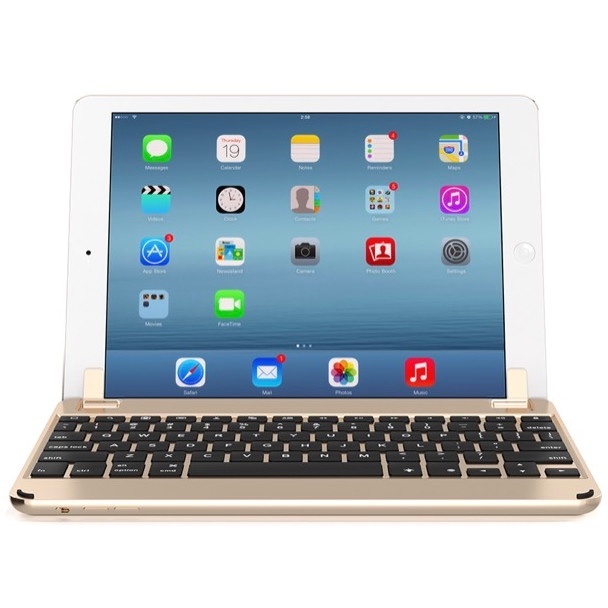 Combined with an awfully elegant hardware design that matches the iPad in color and shape, this keyboard is a great way to get a lot of writing done as well as protect the iPad Air when on the go. Aside from very minor keyboard indicator lighting issues, this is a really great product that you'll be proud to own and use. Three models color matched to iPad Air colors, works with iPad Air or Air 2, recessed keys, magnetic sleep/wake, pairing buttons matched to iPad AIr design, matches shape and design of iPad Air, backlit keyboard, stereo speakers, leather, zippered case included. Keyboard indicator lights could be more explicit, moved to the surface. Speakers not as good as iPad's.